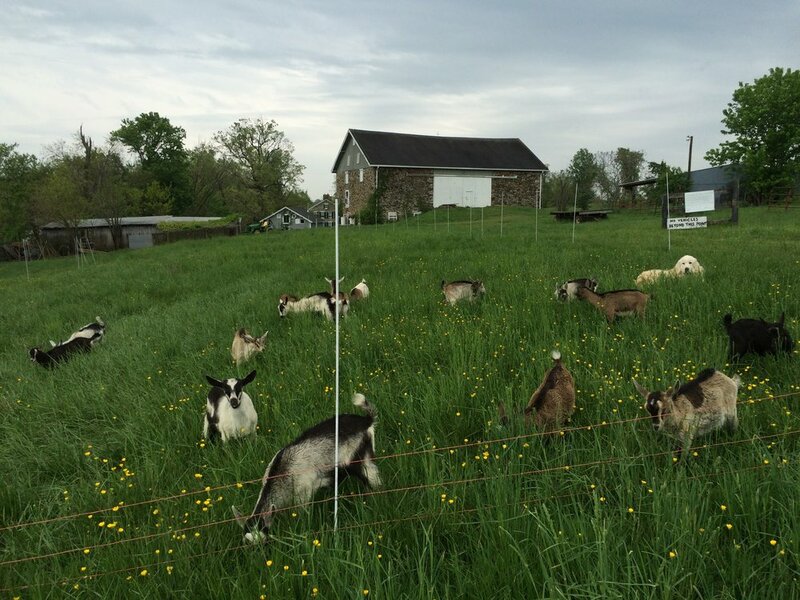 ITS BABY GOAT SEASON! Click on our EVENTS page above for visiting & bottle feeding information!! Georges Mill Farm was settled around 1750 by John George. Two hundred and sixty years later his descendants continue to live on, and farm, the land. 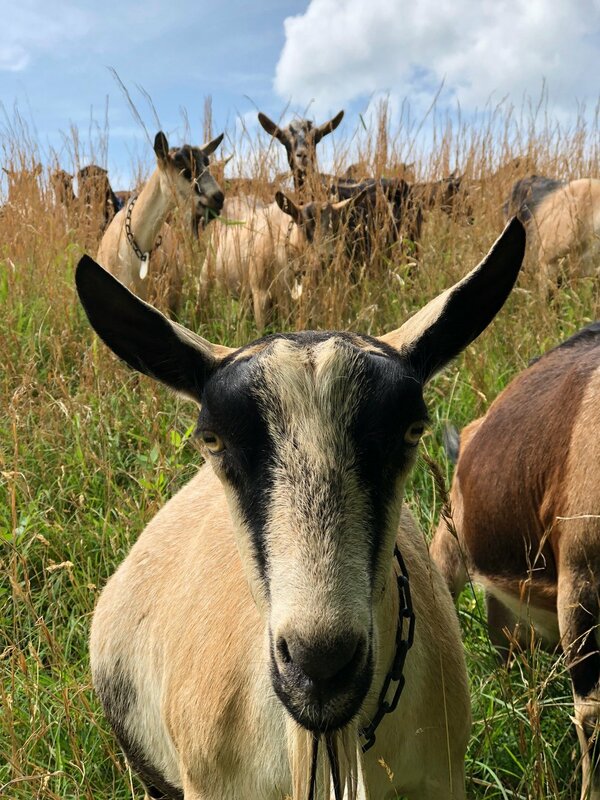 Our farmstead cheesemaking operation (established by Molly and Sam in 2013) is the heart of the farm and we rotate our goats, as well as pigs and chickens on about 50 acres of pasture and browse. In addition, the farm is home to a bed & breakfast in the Civil War-era stone house (built by Samuel George, John’s grandson, in the late 1860s), and four generations of our family. We love to share this special place with visitors, but ask that you please call and make an appointment before coming to see the farm, or attend one of our monthly community barn dances or other events!